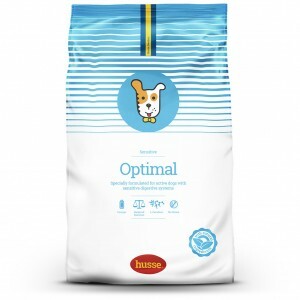 Complete food based on chicken and rice for dogs with sensitive digestive systems and allergy problems. 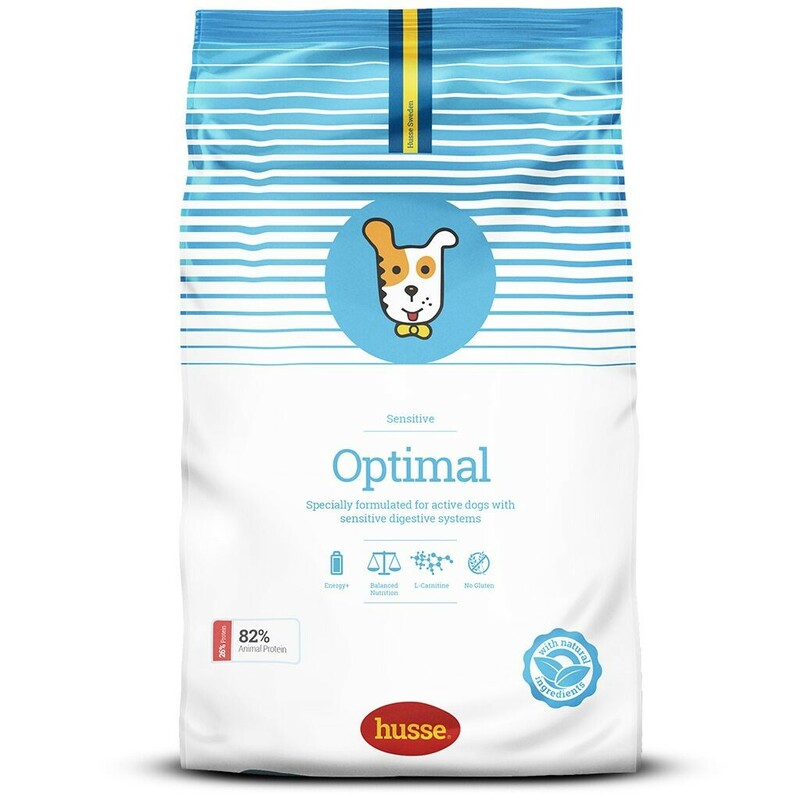 Husse Optimal Sensitive is a super premium food, which contains only the finest ingredients. Optimal Sensitive is completely gluten free and suitable for dogs with sensitive digestive systems and allergy problems. Free from colourants and preservatives. Enriched with grapeseed extract, Vitamins A, C and E which boost immune system. Optimal content of fatty acids Omega 3 and Omega for an optimal health, immunity and brain function. chicken, rice, animal fat, vegetable fibers, hydrolyzed chicken protein, linseed, minerals, whole eggs, salmon oil, brewers’ yeast, fructo-oligosaccharides , lecithin, tagetes, sea algae, grape seed. protein 26.0%, fat content 16.0%, crude ash 6.5%, crude fibre 1.5%, calcium 1.3%, phosphorus 0.86%. Nutritional additives: vitamin A 21450 IU/kg, vitamin D3 1950 IU/kg, vitamin E 600 mg/kg, vitamin C 200 mg/kg, iron (E1) 201 mg/kg, iodine (E2) 3.1 mg/kg, copper (E4) 8 mg/kg, manganese (E5) 62 mg/kg, zinc (E6) 105 mg/kg, selenium (E8) 0.2 mg/kg, beta carotene 1 mg/kg; Antioxidants: tocopherols.